Jessica these are adorable! 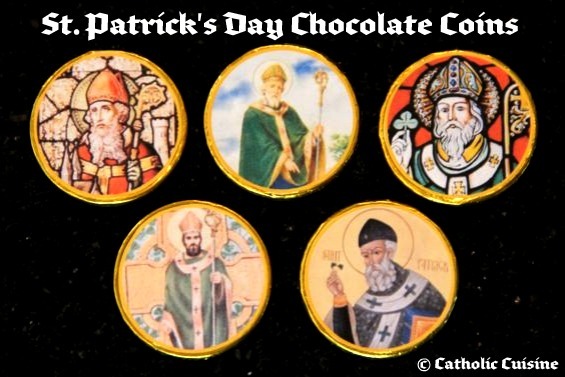 I had created some for our family a few weeks back, but with a few different images and Celtic crosses. They are free to print if you'd like to add them to your lovely set! Thanks for sharing! Jessica, You had to have read some of our minds!! 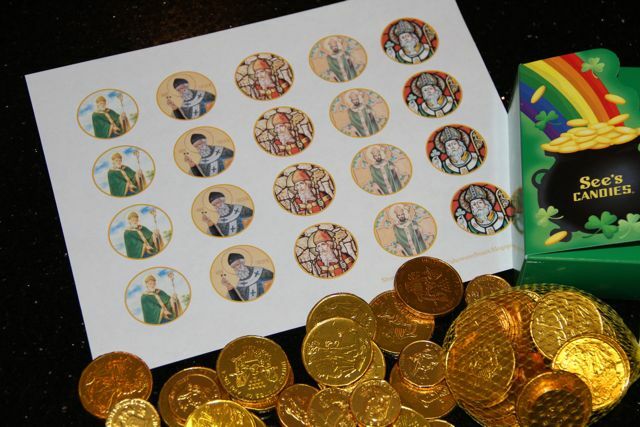 These are soooo great....I have a bunch of coins leftover from the feast of St. Nicholas and was just sitting @ the computer, 2 weeks ago, trying to figure out how you make them.....fortunately, for us computer challenged folks, you've saved the day! Thank you! These are just darling. 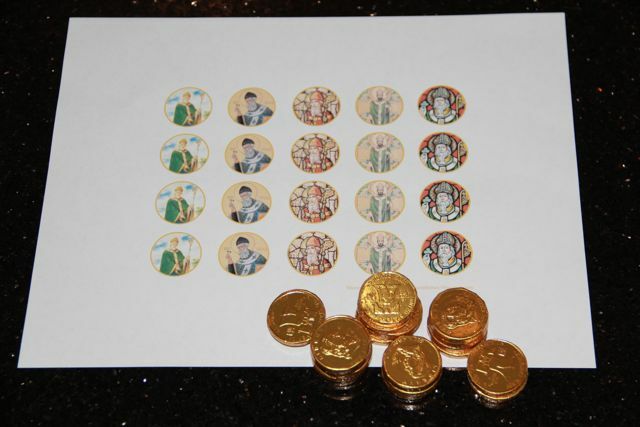 I had loved using the St. Nicholas' ones you made and the children who were on the receiving end, really loved it too! Thank you! 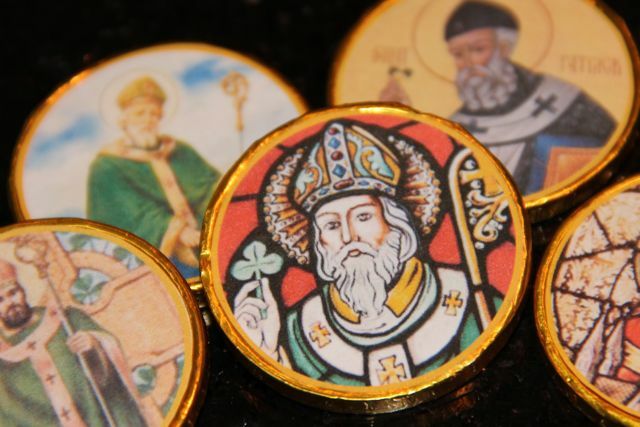 May your Lenten Journey continue to be filled with blessings and graces. 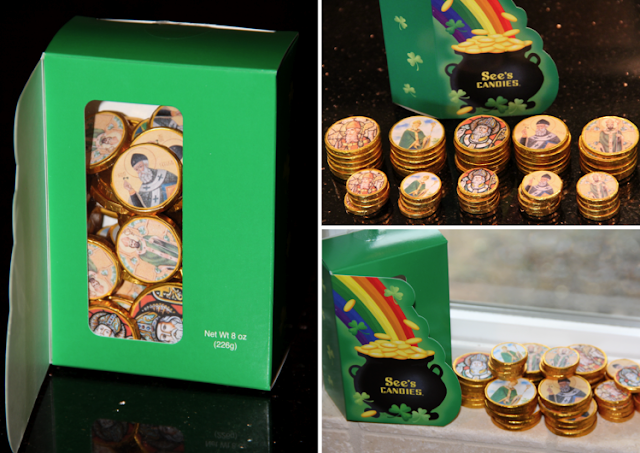 I'm back to report that I did use these St. Patrick images with the chocolate gold coins to give a couple to my godchildren and RE students. Thank you! Your welcome! So glad that you were able to use them! Hi Jessica, I returned again this year and printed them off again. 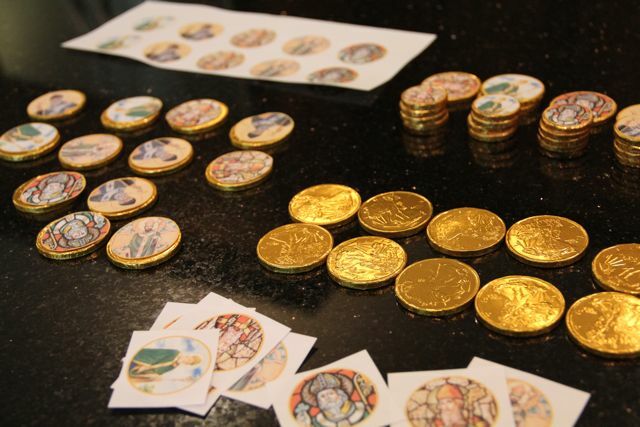 I gave them to my RE students and a few of their siblings :) They were a hit. I posted about it today and linked back to you. May God bless you as He works in and through you to the rest of us!